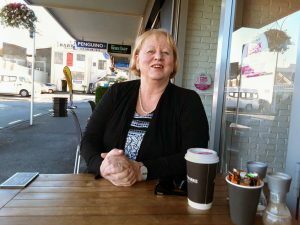 “Technology Tangata Whenua for the Top of the South.” That’s how Thepacific.net boss Sue Lubransky sums up the company, the local broadband provider for the Nelson and Marlborough regions. It’s a company with a unique history, sparked by some early visionaries with a passion for the role of digital connectivity in schools. Way back, prominent Nelson school principal Charles Newton was one of the early educators to foresee the way digital technology would revolutionise education. He desperately wanted to bring his school, Nayland College, along with Waimea College and others around them, into the broadband world. He saw the potential for the schools to be linked by fibre. Local lines company Network Tasman came to the party. Encouraged by the late Barrie Leay, a lateral thinker with long experience in the electricity market, they recognised a natural synergy between their electricity lines business and the fibre future. Alongside Charles Newton and others, Network Tasman coordinated building a fibre link around the schools. Volunteers dug the trenches, and so the Nelson Loop evolved. Meanwhile Network Tasman as the fibre vendor quietly connected the hospital and other large users. As a well-connected former head of the Electricity Supply Association and a passionate advocate for renewable energy, Leay foresaw the opportunity for Network Tasman, as well as thepacific.net shareholder Buller Electricity, to gain a stake in the emerging new generation telecommunications sector. So Thepacific.net was born. Each school was given an IP address in Thepacific.net’s range. Sue Lubransky recalls this as very cutting edge in those days, though not unique. This was the era when everyone thought the fax machine had changed the world forever. Several of those early participants had fortuitous connections to central and local government. So a year later when Project Probe (Provincial Broadband Extension) – the brainchild of Minister Paul Swain – was announced, The Loop, alongside Thepacific.net, became the only private entity to receive Probe funding. Project Probe helped Thepacific.net get traction into the wireless world. At that time, Marcos Biscaysacu, Justin Wells and Tim Price were pushing the boundaries in finding new and cost effective solutions to serve customers in difficult terrain. Several of those staff have a strong emotional connection with the area and still play a role from time to time. “When I joined we were just finishing the Probe contract builds,” Sue recalls. 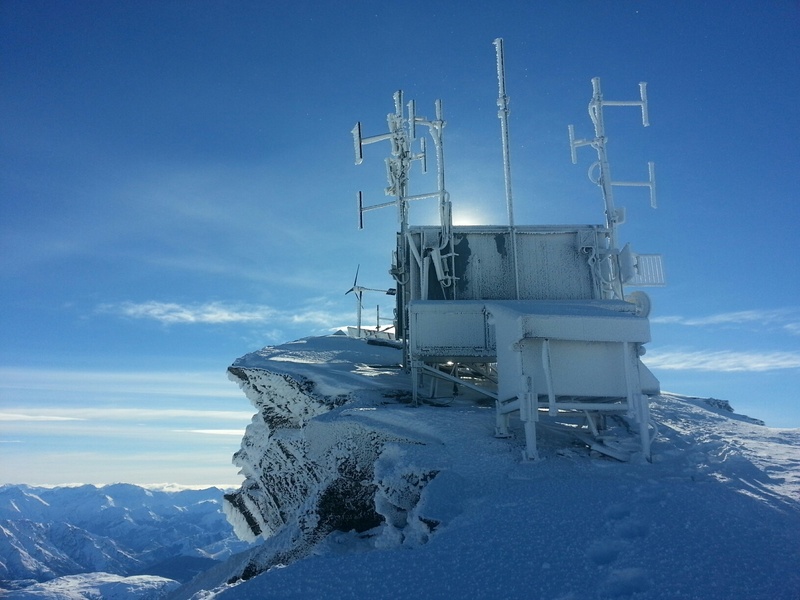 “French Pass was the last one – thirteen years later that isolated and challenging site is still there despite the solar panels being blown off in horrendous winds. 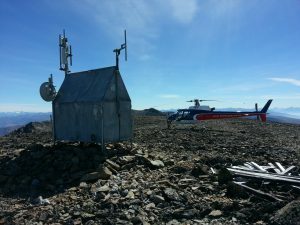 We built the site to service French Pass School and today we are that isolated community’s most reliable communications link. The next few years thepacific.net worked on enriching the wireless connections around the region. Over that time schools migrated to N4L (Network for Learning), became connected to fibre, and went through SNUP – the School Networks Upgrade Programme. Mobile phones became progressively cheaper and digital connectivity became a “must have” for students. But from day one and increasingly as the schools needs became satisfied. Fast forward a decade and a half. Today the extent of Thepacific.net’s coverage is impressive. From south of Ward in south east Marlborough, north to parts of the Marlborough Sounds, and west across Golden Bay. 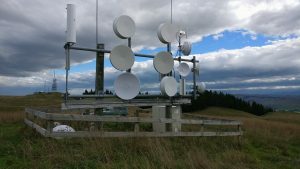 It truly is “technology tangata whenua” – running a successful synchronous wireless network, with very low latency and a high committed information rate (guaranteed bandwidth for customers) all around the Top of the South. The company’s office is in Richmond. There’s an impressive data centre there hosting major local businesses – just one of the adjuncts Thepacific.net has developed over the years along with free WiFi hotspots funded by local government. 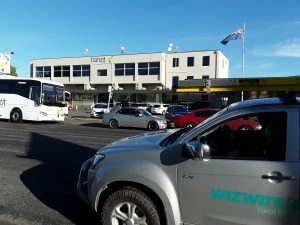 Head office aside, an important link is in central Nelson with its line of sight connection to the company’s Maitai site, as well as to major customers in the Nelson Central and Port area. Chris Tews in the Maitai Valley is among the newer customers. Having migrated recently from Auckland he took it as a given that high quality broadband would be available a 5 minute drive from Nelson to enable him to seamlessly move his business with multiple spreadsheets, regular video meetings, and streaming videos. There’s an increasing trend for farm and winery customers to seek coverage right across their properties, not just for operational reasons but to keep staff in contact and automated machines operating. Femtocells (small cells that boost a mobile phone signal across a localised area) are key to this and very popular with the customers. So where is thepacific.net going? Sue relishes the question. “To infinity and beyond,” she responds. “I love the ever-evolving technology. Moores law, and the laws of physics don’t change, but the way we use things is constantly progressing. There is a real buzz in being a responsive service provider and doing things ahead of the big operators. We do bespoke solutions; we are nimble, fast, connected, tech savvy, passionate, and above all regional. “We have put huge effort into the government’s Rural Broadband Initiative. We want whoever gets awarded RBI contracts to do the job really well for our region – no cheap and nasty installs that oversell/under-deliver outcomes. We’re here for our region. “Technology Tanagata Whenua for the Top of the South?” Yes, I think so. Who had an image of WISP founders and owners as geeky, techy, rough-and-tough alpha males? Think again. 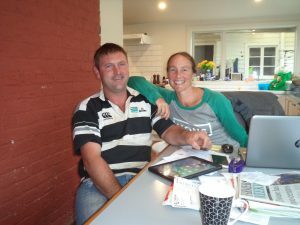 Bridget Canning of WIZwireless in the Wairarapa district breaks the mould. She and farmer husband John founded and own the business, but day by day it is clearly Bridget in the driver’s seat. From its new offices just north of Masterton town, the WIZ footprint goes northward to Pongaroa on the outskirts of Eketahuna. To the south it touches Lake Ferry on Palliser Bay, west to the Tararuas and east to wild coastal beaches including Castlepoint and Riversdale. It’s rugged country and these relatively tight boundaries have been set for good reasons – the philosophy is to keep the business within 90 minutes drive of the Masterton base. The undulating and steep terrain demands an unusually high ratio of sites to customers. That necessitates about 115 sites around the district – some owned by individual customers but most owned by WIZ. A handful have co-location – other phone companies or wireless users sharing the same site. Frustration at having no broadband at the Canning farm 45 minutes northeast of Masterton was the reason WIZ got started. Going to town was, and remains, a time consuming activity. In the early 2000s the benefits of broadband connectivity for rural dwellers had become very plain but there was no obvious plan to roll out beyond the main centres any time soon. So the Cannings decided on an audacious scheme to build it themselves for the use of their local community. The grand plan was to connect the homestead and about 15 neighbouring properties. Bridget recalls spending $150,000 in setup costs over two days, with the expectation of recouping this over time from twenty neighbours. However, in those days Telecom was largely unregulated and was not a friendly player – it may have been a coincidence but the moment it learned about WIZ going live it re-opened the local exchange and beefed up its service, reducing the initial potential customer count from twenty to three. “For a time we had New Zealand’s most expensive Internet,” Bridget recalls, “so we had to go to market and find a whole lot more customers in a hurry. Our investment blew out to over $1.5 million over 10 years of growth.” Those were challenging times. Bridget recalls getting a lot of support from James Watts of neighbouring WISP Inspire.net as she fought to build and grow the network and to make the investment pay. For the past three years it has become cashflow positive. WIZ is on very firm ground these days. Bridget recounts her story as we make the 45 minute journey from WIZ to her family farm. This is a challenging drive – usually dominated by those careering battering rams loaded with logs that tilt alarmingly into the path of oncoming traffic on bends. Its easy to see the attraction of a session online compared to a physical journey! Along the way Bridget and colleague Shaun Minifie point out numerous WIZ sites. 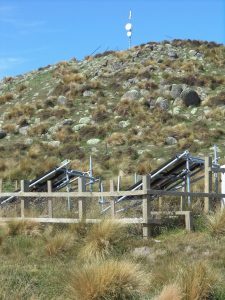 Notably the towers are shorter than a lot of WISP sites because the steepness of the hills makes extra height unnecessary and reducing the risk of wind problems the Wairarapa is well known for. Bridget and Shaun are among 5 full time workers. The company is among 9 WISPs to have a contract to build parts of the government’s Rural Broadband Investment (RBI2) project. 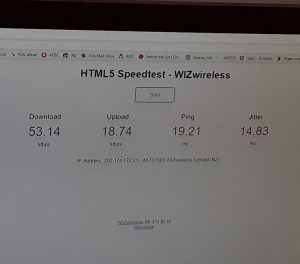 WIZ is very proud of the speeds it offers being much higher than the 25Mbps required as part of the RBI2 contract – when I was there Bridget ran a speed test from her home which came in at 54Mbps/19Mbps – significantly faster than typical VDSL or basic UFB fibre. The basics of WIZ are comparable to most WISPs. International connectivity is obtained through the Internet exchange in Auckland. Snap (now part of 2degrees) provides the connection to the Tranzit building at the back of the Masterton CBD from where it runs to the network operations centre (NOC) just north of the town. There’s ample redundancy – if the Tranzit site goes down the signal can be diverted direct to the NOC. And if an individual sites fail, the signal is automatically diverted around the network via a different route. 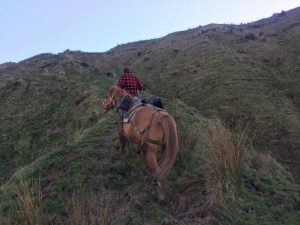 Near the Canning farm we turn off up a long and seriously steep farm track, climbing towards WIZ’s Turkey Ridge site on the rooftop of the eastern Wairarapa. The view from the top is spectacular by any standards – WISPs are privileged to enjoy the best views in the world often in places where few other people get to go. We pause a while to enjoy it while Bridget and Shaun explain the various dishes and panels. The site is built to last and even in the unlikely scenario of a solar panel blowing away the battery setup would keep it going for at least ten days. Back near sea level we go into the Canning homestead where a group of neighbours who also happen to be WIZ customers have assembled to meet us. They tell us about what having fast Internet suddenly available meant to them personally and commercially. Charles White is a very new WIZ customer who was until recently on Spark ADSL. At its best it did the job but it was very inconsistent – “we could always tell when school was out or there was high usage by the kids down the road.” Sometimes the family had to set the alarm and get out of bed late at night to use the Internet. “We couldn’t have dreamed of Netflix in those days,” Charles says. So moving to WIZ was a huge relief and benefit. The girls are already looking at Netflix. Sky is definitely under threat at the White household. Alan Emerson operates a well-known public relations practice with wife Adrienne D’Ath, working from their farm in rural Wairarapa. He came to WIZ early on when he heard about it in 2006. There was no broadband at home whatsoever and trying to file stories with editors in Feilding was all but impossible. He was losing clients as a result. WIZ built a site for him, the connectivity was solved overnight, and a number of former clients returned. Now the consulting business can connect as well as if it were in the centre of a major city, using Skype, booking flights, booking tickets to the rugby or concerts, and accessing multiple phone connections for voice calls. Speeds better than many fibre-connected city dwellers! 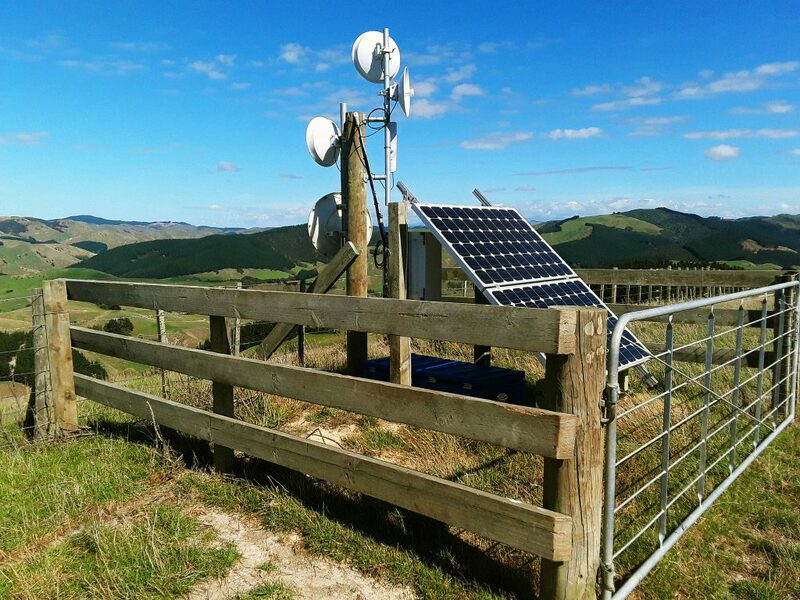 John Canning­ has to say good things about WISP because he owns it, but when he takes off his WIZ hat and puts on his sheep and cattle farmer one you can see he’s delighted with the way broadband has enabled the progress of the farm. Among the specialist projects is a contract to supply a supermarket that wants same day kill. The animal has to be on the hooks within 3 hours of leaving the farm. It’s important to know the yield from the previous day before selecting the animals for the next day, so now he is able to look at the results online and adjust his drafting. Flooding can be an issue, and now he gets 3 hours notice of a potential flood from a rain gauge up in the hills sending signals back to the farm over the Internet. And the need to buy stock selectively following the mycoplasma bovis outbreak has complicated the sale and purchase process, but using fast Internet gives him the data and speed he needs to buy rapidly and profitably. John’s an enthusiast for the potential of communications technology in farm management. He talks of automated measurement of grass, fertiliser, yields and soils using satellites. A WIZ customer already uses an infra red camera in the middle of their free range pig farm for security and so the overseas owner can see what is happening night and day. Vineyards are doing the same. So much for those who thought the WISPs were new kids on the block! Its almost a quarter century since Ronald Brice, along with Dave Parker, started Gisborne.net. 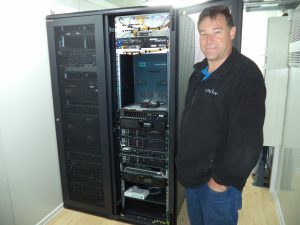 In 1995, as an installer of IT networks with a degree in computer science Ronald looked at the high price of phone services and saw an opportunity to bring the Internet to his home town of Gisborne. 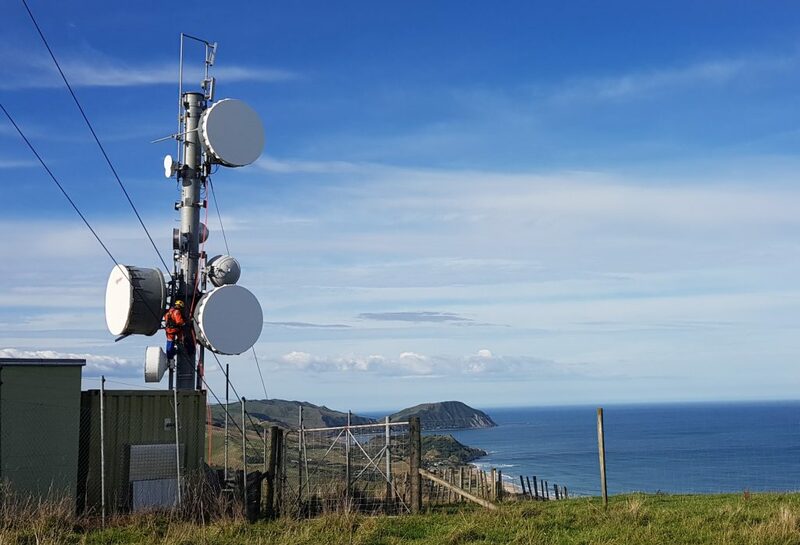 Starting with a 1 Megabit link around Gisborne city, working with local wireless entrepreneur Laurie Colvin, and with the District Council as the first major client, Ronald and Dave just got on and did it. Gisborne.net hasn’t looked back. Fast forward 24 years to 2018 and you find a thriving Internet business that provides urban-grade broadband, with unlimited data at highly affordable prices, to 3500 customers. All this in one of the most challenging regions to build a WISP geographically, topographically and economically. In its understated way Gisborne.net has probably done as much to open up Poverty Bay to the 21st century world as the completion of Gisborne’s rail link opened it to the 20th 60 years before. The 3500 customers make the company one of the New Zealand’s biggest WISPs. They range across the economy. 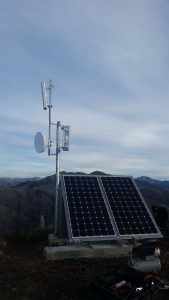 Dairy farmers, many of them refugees from expensive and erratic satellite services, have embraced WISP wireless services on a large scale. Many pay for their farm staff connections as well as their own to offset the downside of isolation. Local iwi Ngati Porou has Gisbone.net connectivity in 49 maraes. So do a number of the isolated Ngati Porou health clinics, where they support video consultations for nurses, doctors and patients. Other maraes frequently take a temporary connection when there is a special event, but once the Government RBI2 contract is completed 100% of maraes will have ongoing access. Highly profitable manuka honey and foresty businesses are customers – even a commercial hemp operation. 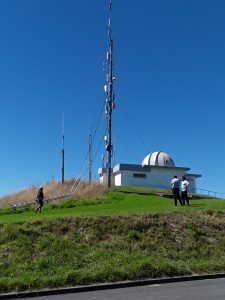 At the technological extreme, Rocket Lab uses Gisborne.net for its Internet services at the Mahia Peninsula launch site. When it has high demand for bandwidth during a launch other customers’ traffic is diverted via Wairoa so that nobody’s service gets downgraded. The coverage is comprehensive. Starting at the top of East Cape and Cape Runaway, south through Gisborne, the Mahia Peninsula, Wairoa, and west through Lake Waikaremoana and Tutira in Hawkes Bay. That’s a sizeable chunk of the North Island, serviced by over 200 sturdy sites build to withstand some of the country’s strongest gales. Most of the sites require direct line of sight to each other but there are exceptions – going through one line of hills is usually achievable, two is a struggle, and three is impossible. Gisborne.net’s office, opposite McDonalds in downtown Gisborne, houses a data centre providing data storage to a range of corporate customers, the network operation centre from which the 200 sites can be controlled and traffic re-routed, and the team of half a dozen staff comprising design, development, management and accounting specialists. Installers (who mount the CPE or Customer Premises Equipment on users’ houses, sheds or offices) are external contractors based in Gisborne and Wairoa. Backhaul is connected to the network here through a fibre link from Gisborne.net’s own routers in the Internet Exchange in Mayoral Drive, Auckland. From here it goes to a rooftop antenna, up to a tower on nearby Kaiti Hill, then on to the 200 hilltop antennas that are the company’s network. Resilience is key. The sites are made to last with solid engineering and high-spec materials. 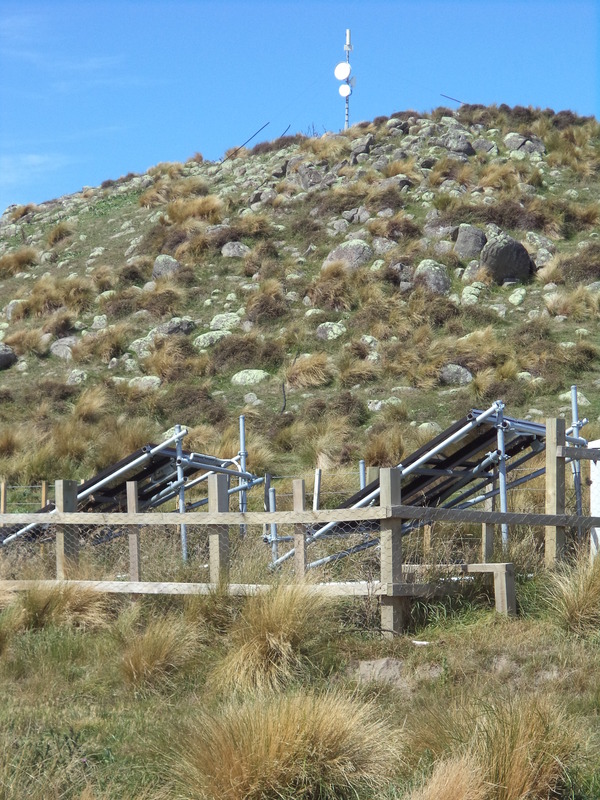 A typical site with solar panels re-charging the batteries can run for up to 5 years without a site visit, provided that the farmer tops up the battery water now and then when passing. Most do so happily. It takes a lot of radio spectrum on a range of bands to run such a complex network. Ronald notes the business owns a lot of spectrum by WISP standards. “Spectrum is gold,” he says – ample choice reduces the likelihood of any interference issues with adjacent spectrum-holders which is a very rare occurrence. The company was one of the first to contract with Crown Infrastructure Partners – the government agency charged with deployment of RBI2, the second phase of the Government’s Rural Broadband Initiative. It was one of a very few WISPs contracted for the earlier RBI1 version for which it connected thirteen schools. For RBI2 the commitment is much larger. 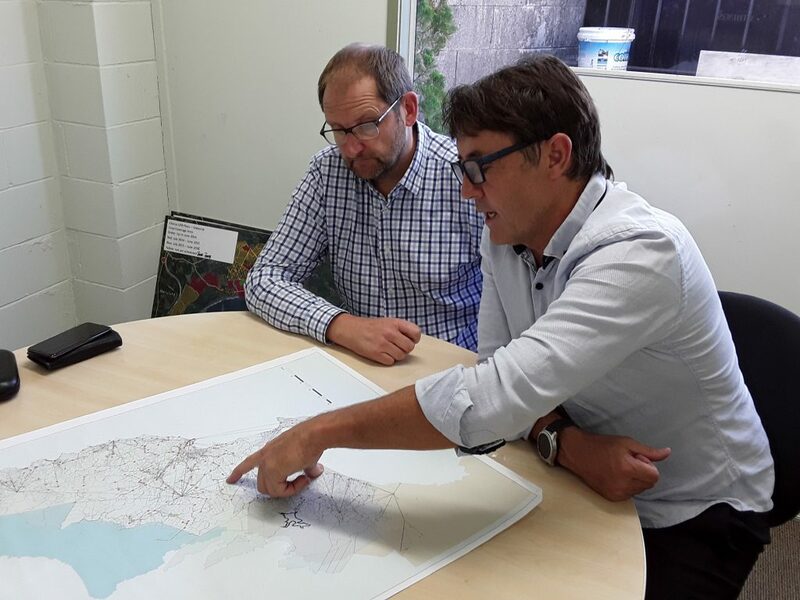 Ronald notes that even with the government contribution the private investment required is still substantial – and like other WISPs contracted for RBI2 Gisborne.net has been rolling out the coverage well ahead of schedule. Contrast this with the three cell phone companies who are still at the starting gate. 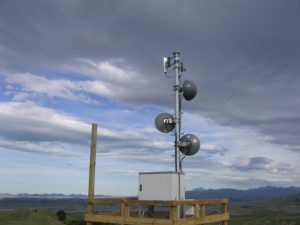 Much of the RBI2 project is about upgrading the speeds of existing Gisbore.net customers, but there is also a substantial number of new connections who will grow the network coverage west into the Waioeka Gorge and beyond. The aspiration is to keep expanding west towards Taupo, in the first instance covering isolated Minginui where Minister Shane Jones recently announced $10 million funding for a manuka honey project. 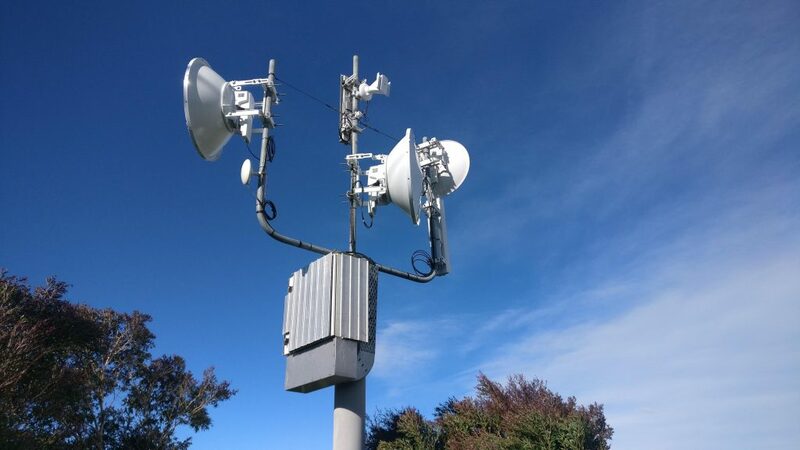 Femtocells – small base stations that deliver voice and data signals across an area somewhat bigger than household WiFi – are adding a new dimension for Gisborne.net customers. The company has deployed hundreds of Vodafone’s “Sure Signal” femtocells. 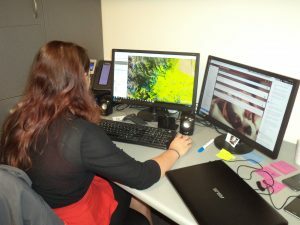 The customer gets data services from Gisborne.net and voice services from Vodafone across the same connection, meaning that their cell phone can be used to make and receive voice calls and texts from the customer’s home even it is way out of range of the Vodafone network. The company – and its associated WISP WiFi Connect which specialises in low-decile areas in the northern and western parts of the region – are generous with data and keenly priced. WiFi Connect offers prices as low as $10 per week, uncapped with 2MBs speeds, allowing the customer to access Netflix movies all day long. For a typical family way up the coast, with no car and very rare access to town, that’s life changing. For all the quarter century of history, Ronald Brice remains an enthusiast for the technology and the service. With the cellphone companies coming to Gisborne at some stage as part of their portion of the RBI2 rollout, he is unfazed by the prospect of more competition. He’s fit and youthful looking for someone who’s been in the business a quarter century. Chatting to him you get the feeling that Gisborne.net has a way to go yet. Very few 21st century users would disagree. Gisborne.net’s usage of solar power as the mainstay of its network is one of a number of aspects of the service appreciated by one of its oldest customers. Noel Amor has used Gisborne.net for more than 20 years. 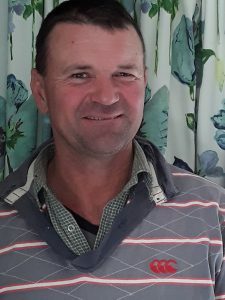 As the first employee of food processing company Cedenco Foods he initially worked with Ronald Brice when Cedenco’s IT services were provided by Gisborne.net’s IT arm. When the Internet appeared and Gisborne.net came on stream it was an obvious choice to provide Cedenco’s connectivity. That’s never changed. Nowadays Noel imports food processing machinery from Italy and sells throughout Australia as well as New Zealand. “I travel a lot,” he says, “and I can access my server in my home office from wherever I go in the world. Everything about Amuri.net feels solid, understated, and sustainable. Entering the grounds of its North Canterbury network operations centre I actually drive past without spotting it. Understated, in that there is no identifying signage – just a cluster of unglamorous white buildings. Solid, because these are seriously strong and professional structures. 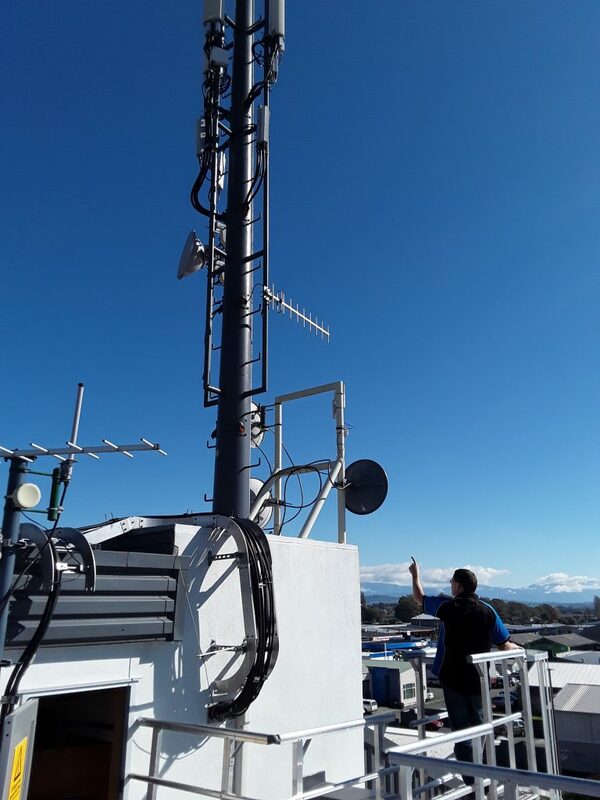 Sustainable, because Amuri gained fame among WISPs by being the only telecommunications operator to stay on line in Kaikoura throughout the 2016 earthquake. Amuri.net covers a large block of Canterbury from Kaikoura, south to the Rangitata River, west to the Southern Alps. The site count is relatively modest – just 40. 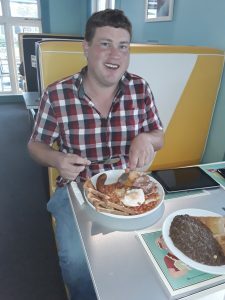 This is because unlike some other WISPs, owner Chris Roberts believes in having a smaller number of big, sophisticated sites each serving a large customer count. Consequently a typical Amuri.net hilltop site features a hut rather than just a cabinet, reflecting the impact of being 1000 meters or more above sea level with a lot of snow to deal with. And if Chris or a staff member get caught out by weather when visiting a site, at least they have ready made overnight accommodation! Amuri.net owner Chris Roberts in a corner of the data centre. Chris Roberts first started taking an interest in wireless Internet around 2005 when he was working on a dairy farm. There was no broadband. 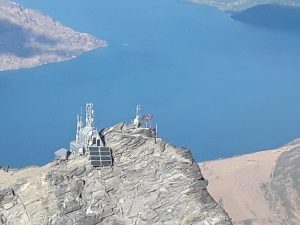 He knew what could be done, having worked previously for lines company Orion, so he started with buying an ADSL connection from the local Chorus exchange and transmitting it aerially to his first site. With all his neighbours wanting connections ADSL proved not to have enough capacity, so he quickly changed the source to Snap Network in Christchurch – at that time an independent network company which since became part of 2degrees mobile. Then about 2008 FX Networks (now Vocus) came through Culverden with fibre optic cable. After the frustration of trying to get the connectivity Chris needed from Spark (Telecom), FX was a breath of fresh air. Soon Amuri.net had all the connectivity it could wish for and has never looked back. As we drive through the countryside Chris points out the various farms and workers’ cottages. A typical local dairy farm has 4 to 6 houses on it to cater for farm workers. A few farmers throw in Internet with their tenants’ rent but most tenants pay their own way. Chris is very “hands on” and points out one by one those who are Amuri.net customers and those who are not. Amuri.net is among nine WISPs that has won tenders from Crown Investment Partners to expand its network as part of RBI2, the second stage of the government’s Rural Broadband Initiative. Chris points out his site at Doctors Hill south of Culverden. At an altitude of around 1000 metres that is among 30 sites in for either a new build or an upgrade as part of that development. This one will be upgraded from a cabinet to a hut, allowing more space for modern equipment that is now coming on stream. It takes a team to run a business. As well as Chris and his wife Noelle, they have a head technical leader, two field technicians, and a customer service operator. Two additional people are being brought in for the RBI2 build. enough away that we’re not going to be part of the same disaster, but near enough that the customer can get up here in an hour or two to retrieve computer files if necessary.” He seems to be right as there is an impressive stack of co-located servers sitting securely in the racks. Solid, understated and sustainable seem like good words to describe not only Amuri.net but its owner also. Happy Amuri.net customers Dan and Mandy Shand at Island Bay Station. 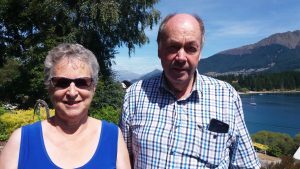 Dan and Mandy Shand still remember the times just a few years ago when they had to set the alarm for midnight so as to send an email from their 140-year-old homestead at Island Hills. Such was the competition for the limited capacity on dial-up at the end of their ancient North Canterbury copper lines that the small hours were the only time an email could stand a chance of going through. Finally, along came Chris Roberts and Amuri.net. Island Hills Station became his 6th customer. The walking track is like a DoC track but privately owned. Once the visitors started coming Dan and Mandy were up and running. They were doing 3000 bed nights a year, and those visitors were going to other attractions and cafes in the region as well. Everybody won. “We couldn’t have done any of this without Amuri.net and the WiFi,” Mandy says. “The Internet access led to us being able to buy the farm and start a honey business. We used the Internet to recruit staff. More recently the entrepreneurial couple have started a flourishing farm and apiary software business involving collaboration among 5 software developers around the world. A row of clocks on the wall shows the time in each of their home cities to help plan Skype video calls. Mike Smith’s enthusiasm is infectious. Ask him a question about the background to his wireless ISP business, Ultimate Broadband, and he’s away. And rightly so – he’s built a highly successful enterprise out of nothing in just a few years. 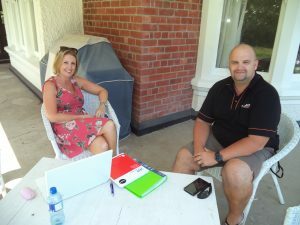 He’s enabled thousands of rural Canterbury residents to get socially connected, run their businesses better and connect their kids to the school network from home. And he’s close to launching a new farm management package to consolidate digital era efficiencies on the region’s farms. As we motor across the plains south of Christchurch, Mike describes the scope of Ultimate’s network. From historic Tai Tapu on Banks Peninsula Ultimate covers pretty much all the area south to Timaru, east to the coast, and west to the Southern Alps foothills. 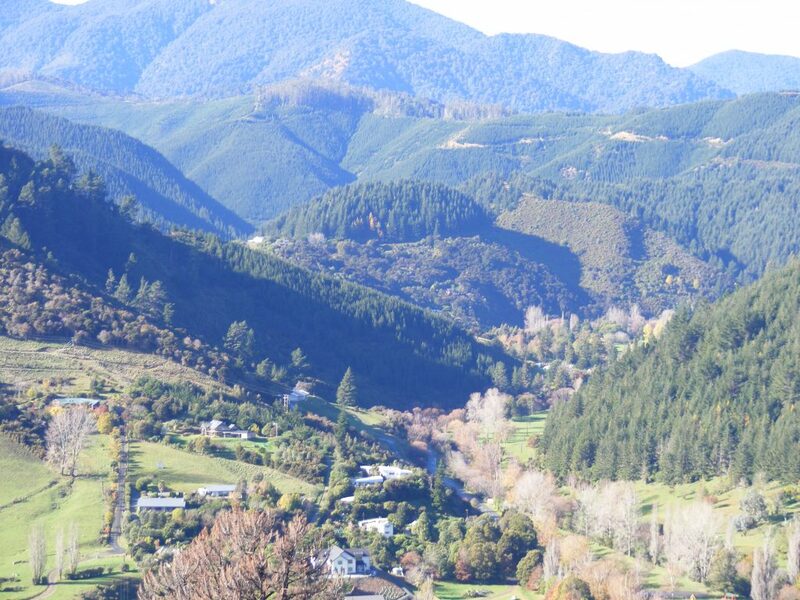 “We cover most of the land mass from the Port Hills to the main divide – Lord of the Rings country,” he tells me. 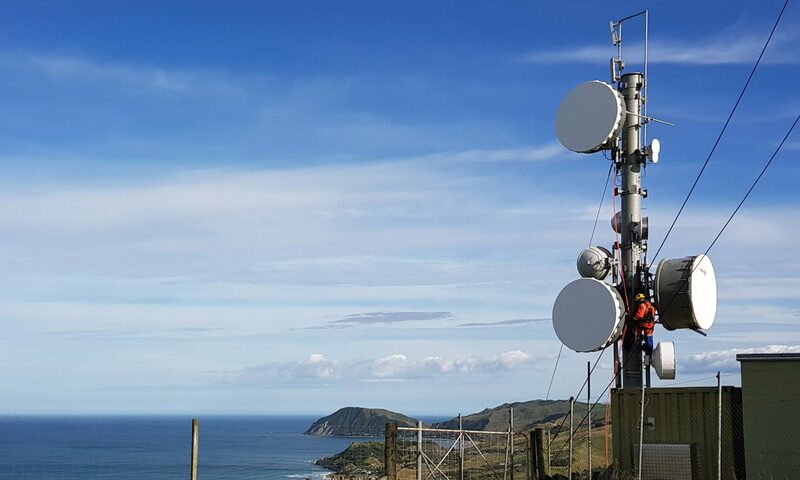 And aided by a generous share of the government’s RBI2 (Rural Broadband Initiative) programme which they won in a tender process they’re continuing to push out in the directions of Oamaru, Kurow and the Mackenzie Country. There’s an opportunity to double their footprint and significantly increase their customer base. Customer Service Officer Patricia Paul works on some potential new business. 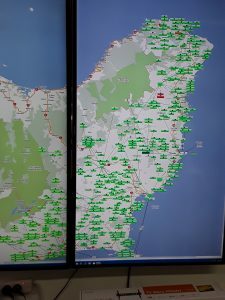 To serve all this area Ultimate operates 86 commercial repeaters and 60 private repeaters. The difference is that a commercial repeater is owned by Ultimate and used to service any number of customers, whereas a private one has generally been funded by a customer and normally serves only that customer. I ask whether, given that WISPs operate by bouncing radio signals from hilltop to hilltop, the flatness of the Plains is an advantage or a challenge. “Both,” he responds. The advantage is access to a lot of fibre optic cable to feed the network. 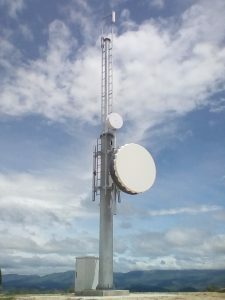 The downside is there are a lot of properties without line of sight to a suitable high spot, so it is necessary to use rooftops and other lower spots to fill the gaps, leading to reduced bandwidth capacity and increased demand for scarce radio spectrum. But all those issues are surmountable. Mike’s background is as a salesman with a technical bent but he’s at pains to downplay his engineering skills. In an earlier career he worked as an Account Manager for Spark (then Telecom) selling mobile and fixed line solutions to small businesses. “I loved the wireless stuff,” he says. So about 9 years ago he started in business on his own, beginning with a small wireless network in the Orari Gorge. It took three years to build the relationships with customers and another year to build the network. Gratifyingly, most of those customers are still with Ultimate. One thing led to another. Putting his strong sales and business skills to good use he started what is now Ultimate about 2009. With a great deal of help from neighbouring WISP Chris Roberts at Amuri.net Mike developed systems, hired staff and built wireless sites. The brand “Ultimate” was introduced in 2012 and the business has never looked back. Ultimate’s One Tree Hill site towers over the nearby farmland. By now we’ve left the road and the big Isuzu 4wd is climbing steeply up a farm track overlooking Banks Peninsula towards Ultimate’s One Tree Hill site. Mike doesn’t seem to have reduced speed much and despite the vehicle handling the terrain effortlessly I get tossed around like Scotty in the old Barry Crump Toyota ads. But the view from the summit make the bruises worthwhile. The solidly-constructed site impresses with its collection of radios and 4×250 watt solar panels. Bumping back down Mike tells me the secret of selling WISP services. “You can’t beat the old town hall meetings”, he says. Last week Ultimate held one in McQueens Valley near Halswell which 25 people attended. Mike did a spiel as CEO and then introduced his sales team to do the deal. Most attendees signed up on the night and then spread the word to neighbours who couldn’t attend, at which stage just about everyone in the community became a customer – in that instance so successfully that the local RBI2 site build will be brought forward ahead of schedule. “People are really keen to hear from us when we are opening up in a new area,” he says. Mike is a natural relationship builder and instinctively builds partnerships within his business. He speaks very warmly of the partnership with Amuri.net which morphed from collegial advice and support in the formative phase, to an enduring wholesale arrangement today. Ultimate also partners extensively with other telecommunications operators to source backhaul and share infrastructure. They’re currently working on a deal with a digital trust, and they work closely with local government through their regions’ mayors. Ultimate’s network operations centre team of Prashant Sharma and Jeremy Jackson looking at some network expansion. Looking to the future, and like some other WISPs, Ultimate is working on an umbrella management system for digital farms. It will include a wide range of services such as remote opening of gates, stock traceability, fertiliser application, irrigation and farm security – all connected through the burgeoning new “Internet of Things.” “This will be a really good add-on to our farm network offering,” Mike says. “It will benefit the customer by having a single point of call for any servicing, remove the complexity of having multiple service providers’ radio signals creating interference, and make the customer more sticky as far as Ultimate is concerned. And with 95% OF Ultimate’s customers being farmers, that stickiness is really Important. With a background in media and tourism, Emma Graham is not your typical Banks Peninsula farmer. She and her husband abandoned city life to become the fifth generation of Grahams to run the century-old, 1400 hectare Ahuriri Farm near Tai Tapu – an estate with a long reputation for producing export quality, lean, tender and succulent Canterbury lamb. The Grahams are unashamedly city people. Their move to the country was life changing. Emma did a farm management course to prepare. The couple determined to keep their successful city-based businesses running remotely. Until the realisation dawned that Ahuriri was still on dial up. “For three years I battled to get fibre here,” Emma recalls. “I knew there was fibre coming up our road. I made several hundred phone calls. But I couldn’t get anyone to listen – costs kept rising, they talked about a six figure capex investment. 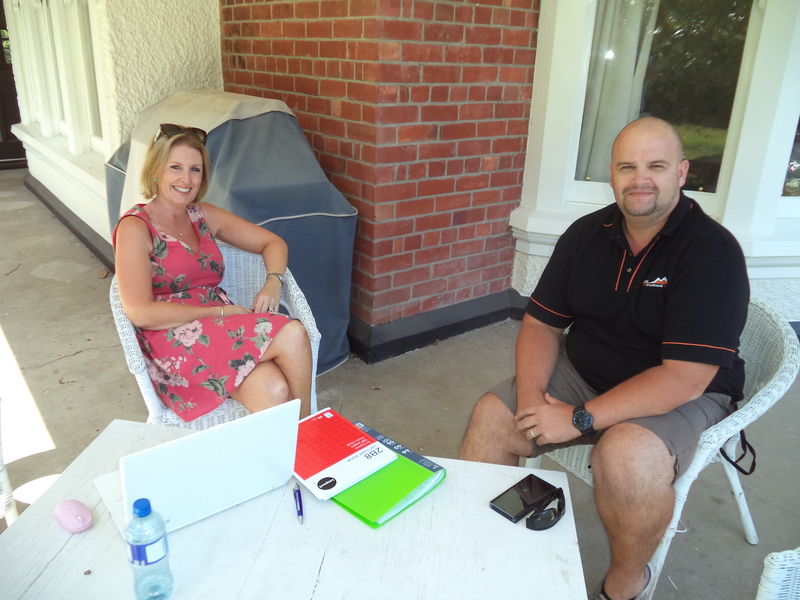 Ahuriri Station’s Emma Graham chats on the century-old farmhouse veranda with Mike Smith, owner and CEO of Ultimate Broadband. “The service quality is great. We can now live in this house. My husband can be in touch with his Auckland and Christchurch offices from here. The tenants and farm staff are happy. And Netflix runs better here over Ultimate than it did in town. Emma admits to being a true perfectionist – she wants to do it once and do it right. She understands technology and has a true vision of Ahuriri being managed using 21st century technology, at city speeds. That’s a vision she and Mike Smith share, and which an increasing number of WISPs as well as a younger generation of farmers are now working towards. In the year that Ahuriri has been an Ultimate customer there has been only one issue – on a Saturday afternoon – and Ultimate came out and fixed it within an hour or two. 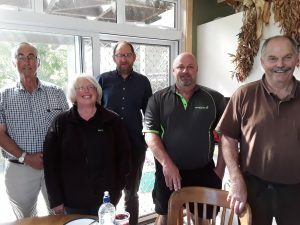 A new age farming couple with city backgrounds and city businesses, with a tech-savvy, enthusiastic WISP with an eye to a commercial farm management package might well be a winning combination for farm management and social inclusivity in rural New Zealand. Watch this space.